The cost of dying: Tokyo’s multi-story graveyards | IKIMASHO! Considering becoming a corpse in Japan? Here’s a convenient place to park your body. Dying is pretty low down on most people’s list of priorities. Let’s face it, it’s not much fun and everyone is running around crying and stuff. It’s not a happy occasion. Saying that, it happens to us all – and undertakers will never be out of business. 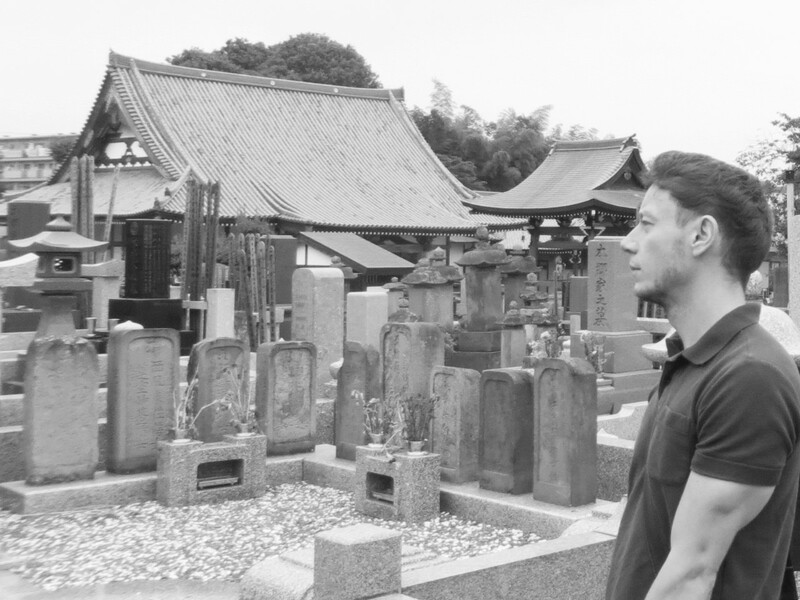 There are graveyards scattered all over Tokyo. I pass one particular one on my way to work some days and if the weather’s nice I’ll go in and chill out for five minutes. ‘Bit weird’ I hear you say, but hey, it’s quiet and peaceful – and those are two words not often associated with Tokyo. A typical Japanese grave is usually a family grave. When a married person dies before his or her spouse, the name of the spouse may also be engraved on the stone, with the letters painted red. After the death and the burial of the spouse, the red ink is removed from the stone. That’s commitment for you. Estimates fluctuate, but the average cost of a Japanese funeral is about $25,000 – and some burial plots in the heart of the city can top $100,000. Ludicrous real estate prices aside, relatives of the deceased are very hesitant to negotiate prices of a funeral service, as they do not want to give the opinion that they are cheap about their relative. In many cases, there is not even the mentioning of a price until the funeral is over. Saving face may be a noble thing to do, but it’s not good for the old bank balance. The high prices of funeral plots have led to a new service of Grave Apartments – multi-story graveyards where a locker-sized grave can be purchased for about 800,000 yen ($8,000). Floors 3 to 8 of a nine story building are using to house the urns of 7,000 people, while the lower floors are for funeral ceremonies. Visiting relatives can access these urns by using a swipe card system to activate a robotic arm which retrieves the appropriate remains and delivers them to a specialist mourning room. It’s a bit like one of those UFO Catcher games at the arcade where you have to use a robotic arm to win a soft toy. I was always crap at those games so I wouldn’t trust myself with an urn, unless I’d lots of spare change. Inside the mourning room, relatives can view photographs of the departed on computer screens prior to a frosted glass screen descending to reveal the urn. It all sounds very odd. But I guess with so many people living in such a small landmass, something has to be done. But anyway, enough talk about death. I’ll end with one of my favourite quotes. Everyone has a birth date and a death date. But it’s the dash between those two dates that counts. As I like to put it: Choose your route carefully as you cannot choose your destination.